The frame design creates a 'shadow box' space to allow for the depth of the pen. 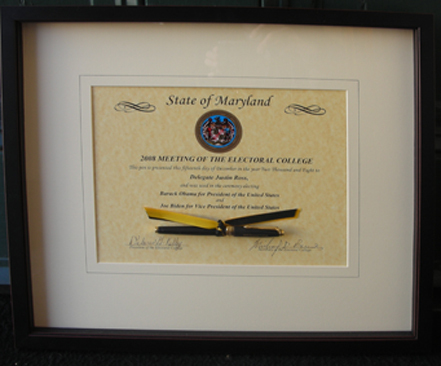 This customer chose a classic black frame, warm white mat with a hand-drawn thin black french line to draw the eye to the focal point, the certificate. Very effective! Option: If a gold frame is preferred, change the french line to gold also.